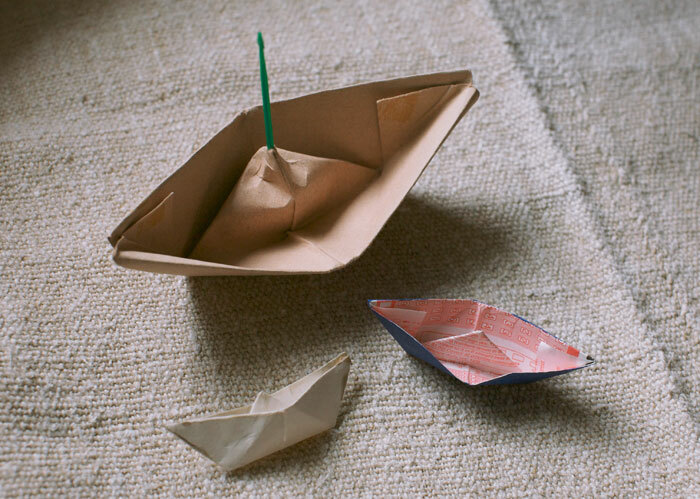 Actual Papa-made paper boats. And, yes, one of them is made from a lottery ticket. Lara's Papa used to make paper boats for us whenever we were about to go on a trip. He gave them to us as good luck charms. We were to put them in our bags, to carry them with us, for safe travels. Our wish is to record the moments that make up your travels through life. We would like to document you and your stories – to keep them safe, so that you may travel forward, knowing you can always look back when you wish. One of the things I was most afraid of after my mom died was forgetting. She held so many memories – so many of my memories. Just a few days after she died I bought a notebook to write everything down. But there isn't a way to remember everything—especially when you're forcing yourself. What I came to learn was the notion that I hold the memories, too—or that they would come to me in time. As things happened memories would be triggered, which is what happens naturally. Well, I'm still in the midst of learning this, and probably always will. But, what I wouldn't give to hear her voice tell me the story. I want to hear the story of how she couldn't understand what I was asking for when I was two years old. I was in the early stages of learning to speak—I wanted something to eat, but she couldn't figure it out. So she named a bunch of items. "Do you want a banana? Do you want crackers?" With each "No!," I apparently grew more and more frustrated. When she finally got it—grapes was the answer—I yelled "Brapes, yay!!! !," and spun around in a circle with delight. You see, I know this story. But I want to hear her tell me the story. I want her intonation—her voice, her love—coming through. Oh, how I miss the sound of my mom. I thought I had years upon years to ask her to tell me that story again and again, whenever I wanted the reminder. This, and so many other reasons, is why Paper Boat Recording exists.